To request a more involved quote for price and time frame of a project/article, please fill out the form below. I’ll get back to you very quickly – I typically check email multiple times a day. In general, my services will start at .25 / word and may increase with more complex or involved subject matter. 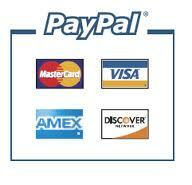 All clients will be invoiced through Paypal; payment is expected in full when projects are completed. For larger/new clients, milestone payments may be required. Prefer to work through a platform? Me too!